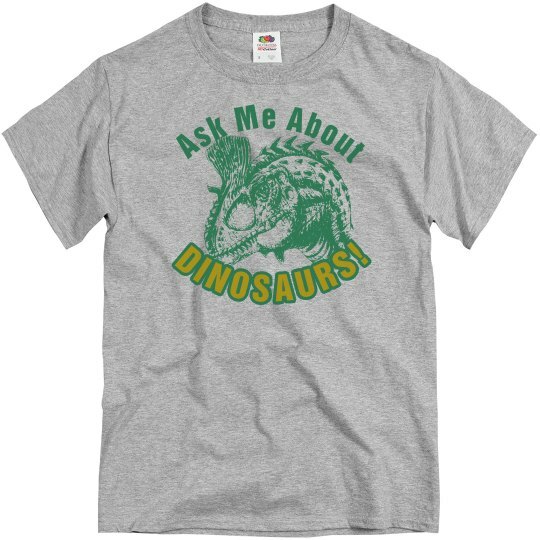 Whoever is wearing this shirt, well, you better be a dinosaur expert is all I'm saying. I have a lot of questions about the Triassic period and I'd love to bend your ear for a while. Custom Text: Ask Me About | DINOSAURS!